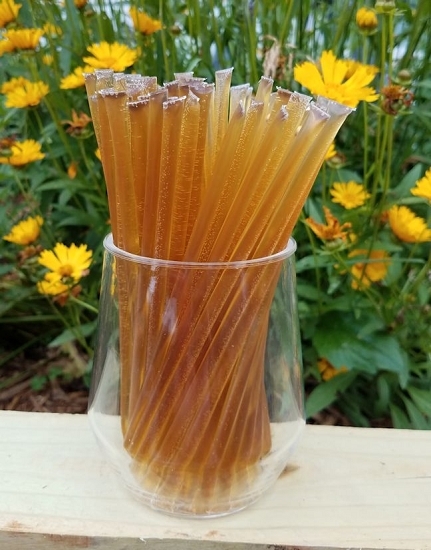 Blackberry Honey Sticks (also know as honey stix or honey straws) have a flavor that is crisp, mild and distinctive. 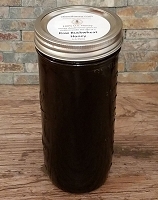 Blackberry honey is a breakfast favorite for pancakes, toast, muffins and coffee. Response from ebee: Irene we do not sell just empty straws. The blackberry sticks have been the best flavor I've tried here so far! 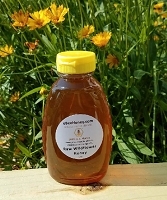 To me it tastes somewhere between a clover honey and a rich buckwheat honey but with a very lovely fruity taste underneath, but not in an artificial sorta way. I'm sure I will be reordering this in the future! After trying the blackberry honey in a variety pack, I like the smoothness of the blackberry stix. Definitely a very unique flavor that differs from the more popular orange blossom, clover, or wild flower varieties. This the the second order I placed for honey sticks, first the orange blossom and this time the blackberry. They taste fabulous. I'm sure my guests will love them as favors at my wedding! Great flavor. The honey sticks have been very convenient and I can take honey to work. I put the blackberry honey sticks on grapefruit.